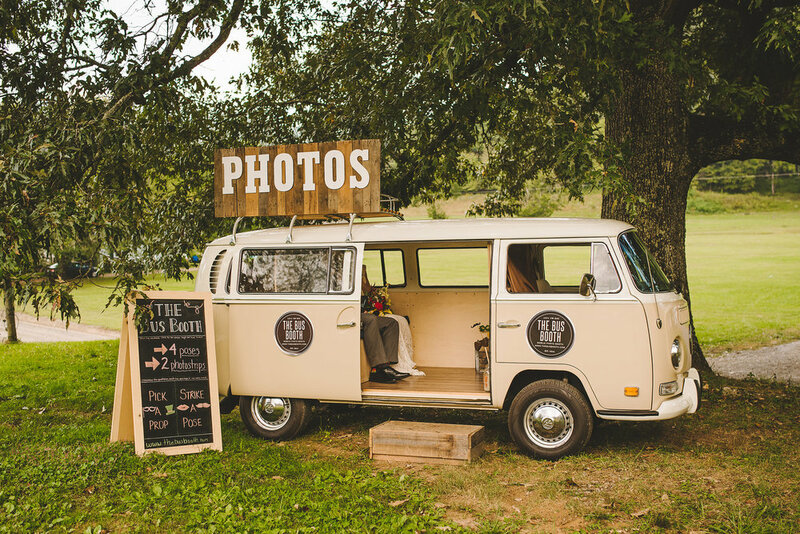 Located in Asheville, NC, The Bus Booth is the ultimate version of the classic photo booth. The Bus Booth will absolutely take your event to the next level. 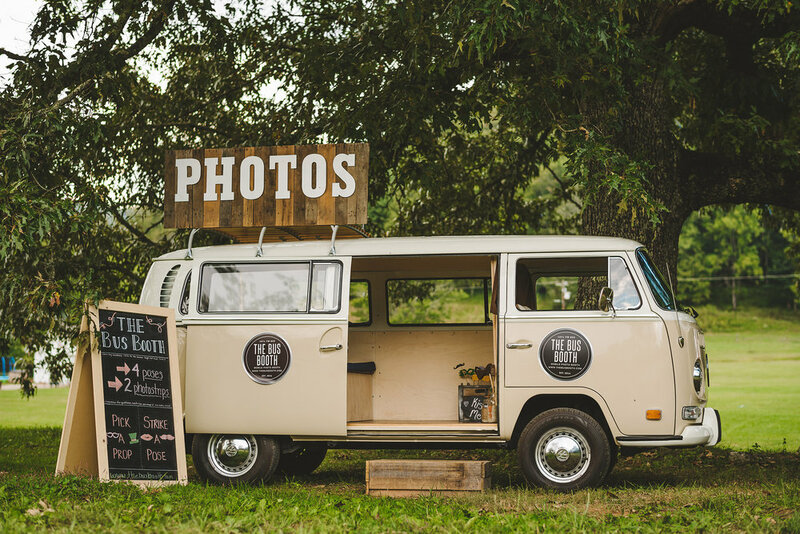 With a unique twist on the classic photo booth, our VW Bus Photo Booth will provide your guests something truly unforgettable. We are available for all types of events. Maggie (our bus) is a big hit at weddings, birthday parties, corporate events, fundraisers, and community events. 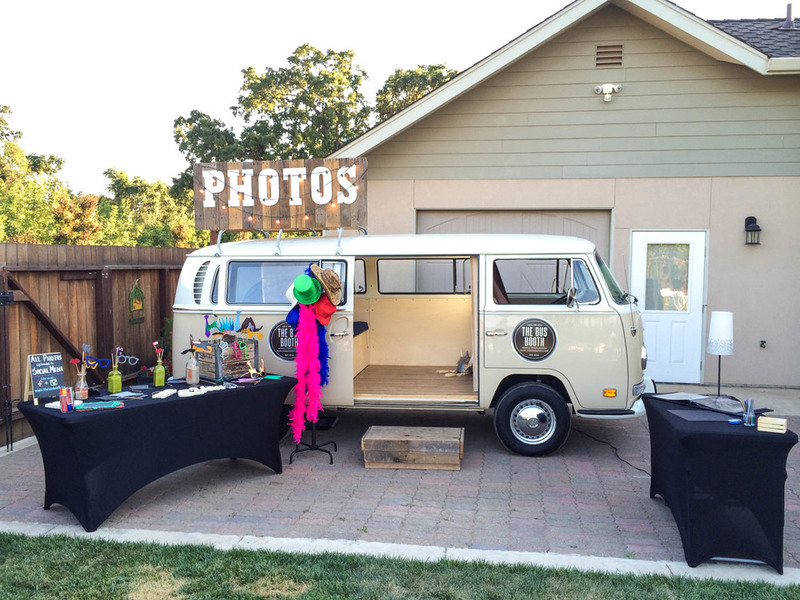 If you can dream up the event, we can guarantee your guests will love The Bus Booth. Our bus, Maggie, is a 1971 Volkswagen Deluxe Bus that we have lovingly restored. We custom built the interior to fit a sleek, modern photo booth with a high resolution DSLR, a touch screen, very attractive lighting and a professional dye-sub printer. 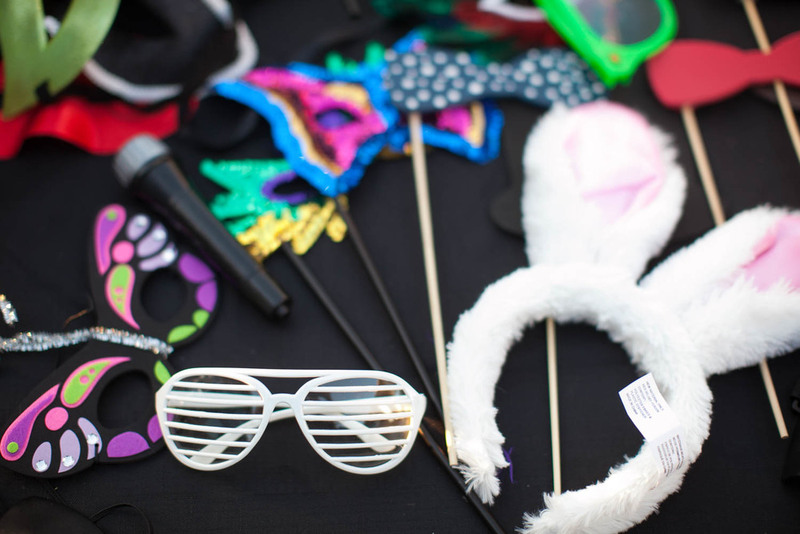 We are not your typical pvc and drapes photo booth! We found Maggie in Oakland, CA and, over the course of several months, fully restored her to her original glory. We kept the original Kansas Beige color used in Germany and sourced Baltic Birch wood paneling to match what Volkswagen used in the original Westfalia campers. After restoring our bus, we successfully launched The Bus Booth in Northern California, renting Maggie out for events for nearly 2 years before relocating to Asheville, North Carolina. 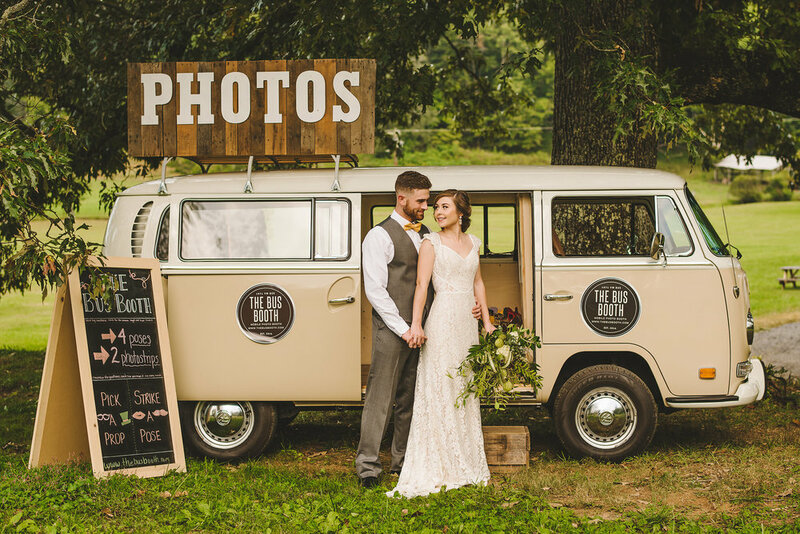 Would recommend The Bus Booth to anyone who wants to add a fun, creative element to their wedding that guests will love and a fun alternative to your traditional guest book! I can't stress enough how EXTREMELY happy we were with the service and I can't wait to throw our next big party so that Maggie (the bus) can come visit! The bus was the backdrop for the wedding and then became a photo booth. It was amazing!!!!! The Bus Booth was awesome and a perfect fit for our event. The bus was beautiful and everyone loved the new spin on the photobooth idea! What can I say about the bus booth other than it was the hit of our wedding?!! It added such a cute flare to our wedding and everyone has been raving to us even weeks after our wedding about how much fun it was! The Bus Booth was packed all night and we LOVE our guest book with copies of all the fun pictures of our friends and family, a treasure we will have to look back on forever. Thanks again!! WHY IS THE BUS BOOTH SO COOL? We use a professional level SLR camera to ensure we deliver awesome photos! Continuously lit so there's no blinding flash. 12 people climb in the bus? Everyone gets a photo! From mustaches and lips, to boas and crazy glasses. 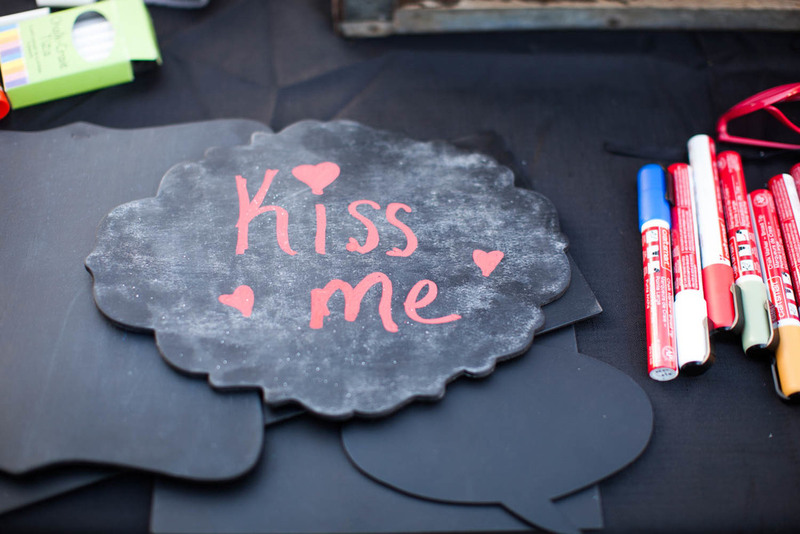 For guests to put one of their photo strips in and leave a nice handwritten note for the couple. This has been awesome for the guests as it's a super fun version of the guest book. It's so fun, that we wouldn't even consider charging you extra for it.